Say what you want about the evils of big city living -- Lord knows I have -- but when it comes to finding the most delicious, innovative food in the nation, small-town favorites simply can't stack up against the myriad restaurants that feed America's major metropolitan hubs each day. Between the financial pull of the restaurant industry's biggest backers, the dense populaces hungry for new trends, and the irresistible opportunity for chefs to prove themselves on a big stage, US cities drive our national culinary narrative forward. They're where every significant food trend either begins or hits critical mass. Big cities are eating what the rest of the country soon will be. With this mostly-true hypothesis in mind, I tapped Thrillist editors from across the country (New York, Illinois, Missouri, Massachusetts, Florida, Alabama, Colorado, Texas, California, Oregon, and Washington), and together we examined the food scene in every American city with a population close to or greater than 500,000 people. There are about 40*. Then, we ranked 'em based on their finest establishments, their signature contributions & traditions vis-a-vis national cuisine, and the strength of their dining cultures. Sure, there's no way to completely strike personal bias from such a process, but everyone came in with the good-faith intention of showcasing the best food regardless of geographical politics (then, when attacked, fell back on their personal biases). 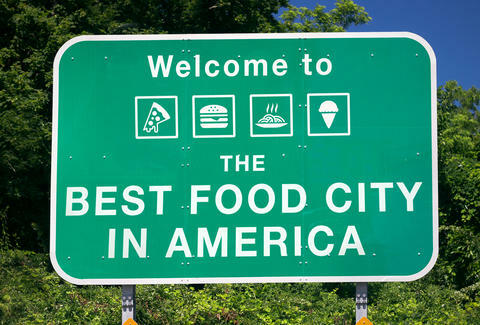 Without further ado, here they are: the 40 biggest cities in the US, ranked by food & drink. See you in the comments. *To determine populations, we started with the 2010 US Census data for straight-forward city populations. But that meant some key cities didn't make the cut. We then looked at 2010's data for metropolitan statistical areas -- noted as MSA throughout -- but that pulled in a few boring cities and left off a handful of others. So, the editorial staff (again, we're from all over the country) decided that a hybridized list of MSAs, urban populations, and a few carefully vetted wildcards was the best approach. That's what you're looking at here. Say this for California’s fifth-largest city: it exists, and food definitely gets eaten here. But much like Bulldogs football at Fresno State, this Inland outpost’s food scene is perennially underwhelming. The seafood isn’t bad, and Ponte Vedra’s got country clubs with lovely dining halls. That’s about it. JAX is big, sprawling, and capable of the occasional pleasant surprise (shout out to Singleton’s! ), but it lacks any real capstone contribution to the national food scene. While the rest of the Lone Star State’s big hubs have serious moves, El Paso just sorta rides the BBQ & Tex-Mex coattails, never planting a flag in the culinary sands. Plus, Old El Paso salsa's corporate offices are in Minnesota. Sonoran dogs! They’re pretty good every once in while! Sadly, there’s not a whole lot else to say about eating in Tucson. Brace for chain restaurants & solidly adequate Mexican food. And lots and lots of college kids. Cleveland is Ohio's current food-success story, but Columbus has just a bit going on, too. Jeni's Splendid Ice Creams is sweeping through the Midwest & Southeast with stupid-good frozen creations, Thurman's burgers are a national treasure, and North Market is redefining the way municipalities manage & develop public food bazaars. So that's cool. In a state defined by its delicious vinegar-based barbecue & excellent seafood, Charlotte does both fine, but neither well. Plus most of the people who live here seem to be Yankee expats doing their three years at Bank of America before heading off to more glamorous metropolises with better grub. Cruise past the Sonics that dot the roadside (the chain was founded in nearby Shawnee), and you’ll realize OKC’s got more than just fast food going on. For one thing, the Oklahoma National Stockyard Company is America’s red-meat crossroads (and maybe the largest feeder cattle market in the world), and Cattlemen’s Steakhouse has been serving up choice cuts there since the place opened in 1910. Then there’s the onion burgers -- a greasy OK tradition guarded by mainstays like Sid’s, Tucker's, Johnnie’s, and Bunny’s. In August or September, basically every block has a chile roaster stationed there. Whether you're a "red" or a "green" person, the smell of roasting chiles is intoxicating. And there's plenty of places to enjoy said chiles in a plate of carne adovada, in spots like El Pinto and Mary and Tito's. Or you can go to Walter White's house, where we hear they serve a mean breakfast. Indy’s got some damn fine steakhouses with some damn spicy cocktail sauce for their shrimp, but its culinary scene is far from comprehensive. Outside Broadripple, Fountain Square, and a few other happening spots, most of the city is fed by fast-casual restaurants (ahem, Steak 'N Shake) as far as the eye can see. Cleveland’s on the rise, with chefs like Jonathon Sawyer, Michael Symon, and Doug Katz making waves amid a city rife with hearty Midwest tradition, from Polish boys to gigantic Slyman’s sandwiches and enough pierogies to fill a Warsaw apartment building. The whole scene orbits West Side Market, one of the biggest collections of butchers, bakers, and farmers around. It’s where every restaurant in Cleveland gets -- and has gotten for 175 years -- its wares. Give Cleveland another 10 years, and it’ll be among the culinary juggernauts. YOU HEARD IT HERE FIRST. Beyond Pizzeria Bianco -- which has both Arizona’s finest pizza pie and one of the nation’s, too -- this mega-metroplex boasts solid Mexican food and an irrefutable gem in Matt's Big Breakfast. In fact, the Valley of the Sun's got a few brekkie spots worth hitting: La Grande Orange Grocery, Snooze A.M., Over Easy, and more. Plus, Downtown is coming along, which is making it feel younger every day. But the PHX stereotypes of newly-poured concrete & newly-retired septuagenarians remain largely true, and so the restaurant industry here still has to pander to that conservative palate. Most of St. Louis' signature dishes haven't made it to the national stage, and, truth be told, they may never see adoption outside the Midwest. That's because they can be a bit, uh... peculiar: they cover their namesake thin-crust pizza with a deliciously strange cheese blend called Provel, they deep-fry their ravioli once and their chicken wings twice (toasted & trashed, respectively). They grill, then sauce their "St. Louis-style" ribs, and even eat something called crispy snoots, which are like crazier pork rinds made from the snout and cheek. But you know what? The Lou has a unique food story, and it's sticking to it. When you think about it, they didn't really eat crabs too often on The Wire, which is kinda nuts considering Baltimore basically subsists on 'em when they're in season. Not so authentic now, are we, David Simon?! But seriously, the Chesapeake's bounty defines Charm City's culinary character, from famous crab houses (all of these places, Faidley's, etc. ), to nationally notable oyster bars (that rarely get national buzz), to farm-to-tablers like 2014 darling Woodberry Kitchen (and all of these places, too). Lest we forget, Baltimore is the city Old Bay built. Berger cookies helped. Remember the Alamo? Well, that used to be the only thing anyone remembered about San Antonio, aside from the fact that you could walk along their river, and that they basically made Tex-Mex, like, a "thing." But, starting with Chef Bruce Auden opening Restaurant Biga in the '90s through other promising star chefs like Quealy Watson (Hot Joy), Jason Dady (Umai Mi), and Mark Bliss (um, Bliss), plus the explosion of amazing bars, restaurants, and the like in Southtown, Alamo City has turned into way more than just a place where people dressed like Davy Crockett could enjoy black bean burgers at Señor Veggie. It’s still not enough to get them higher here, but consider this position trending upward. Milwaukee is famous for beer and cheese. And beer cheese. And beer cheese soup, which pairs wonderfully well with its other signature dishes: brats, pretzels, and butter burgers. And curds. It’s the drunchies capital of the US, and we love it. Nowadays, there are upscale restaurants making splashes in the city’s food scene. We implore you, Milwaukee: don’t change. Unless somebody figures out how to incorporate foie gras into beer cheese soup, you’re fine the way you are. On the downside, they have a factory that processes more lutefisk than anywhere else -- even in Scandinavia, where they invented it. On the upside, the Juicy Lucy was invented here, a masterpiece of a burger with cheddar stuffed in it. And because its residents need to maintain a thick layer of fat to combat a 15-month-long winter, there are also cheese curds and hot dishes. Not to mention a thriving food scene featuring exemplary chefs like Paul Berglund, Sameh Wadi, and Jamie Malone. From the historic depths of the West Bottoms, the industrial district where the old meatpacking houses once slaughtered regional cattle and the world-famous American Royal is still held today, you drive into the arts district known as the Crossroads. There, you'll find a true taste of Kansas City in an ever-growing environment of culinary coups, from upscale restaurants such as The Rieger Hotel Grill & Exchange (situated atop a speakeasy) and counter-only seating at Town Topic. Barbecue joints in and around KC -- from renowned KC Joe's and Jack Stack to hometown favorites Arthur Bryant's and LC's -- still define its outward-facing reputation, but an eclectic scene has evolved from the more humble mainstays. From chefs Colby Garrelts to Michael Smith to Celina Tio, all James Beard Award winners, come a collection of palate-pushing places that keeps in touch with their Midwestern roots while satiating the pickiest, most pretentious of eaters. Memphis rides to middle-of-the-pack on the cred of having one of the few eponymous barbecue styles in the country and ‘cue spots like Charlie Vergos’ Rendezvous that are national names. Memphis-style typically means pork shoulder and ribs that take a dry rub of paprika, chili powder, garlic, and other spices, before slow-cooking in a pit, and are served with a thin sauce that mingles ketchup and brown sugar for tangy-sweet flavors. Also, Chef Kelly English is doing big things at both Restaurant Iris and The Second Line. Also, also: the original Gus's World Famous Fried Chicken exists here. Vegas is a national hub for a great many things: gambling, enormous buildings that will be worthless within a decade of being built, and, of course, a limitless onslaught of buffets that oscillates between impenetrably decadent and improbably disgusting. But beneath the saccharine glare of Sin City opulence, there is some excellent eating. Every big-name chef worth a damn has been coaxed -- via oodles of casino money -- to open a fine-dining outpost here: Nobu, Postrio, Bouchon, Jean Georges, Restaurant Guy Savoy, Michael Mina, and more. (Don't miss these tasty celebrity chef burgers, either.) Plus, it's got a surprisingly robust Chinatown, thanks to the thousands of Chinese- and Taiwanese-Americans that have made homes here. Look, if you're from one of the food meccas further down on this list, you might not be impressed. But for most of the country, Vegas is good eating, and that's good enough for us. With its spread out geography making it difficult for any one scene to congeal (just try and get from North County to Gas Lamp in under 40 minutes, TRY IT) and relaxed attitude towards following national food trends (food trucks became big here four years after they blew up in that city lying 90 miles North), the argument could be made that the Whale’s Private Parts should be further up the list. But that relaxed attitude and space actually play out as strengths, giving this SoCal city its own flavor. Plus, you’ve got to be thankful for the fish tacos. And all those Cali burritos. First of all, frozen margaritas don’t count as food. But there is no disputing that DFW is a serious player in the Tex-Mex conversation, what with Stephan Pyles existing. And Lockhart Smokehouse and Pecan Lodge ensure their part of the national BBQ conversation. And, crap, they’ve got the best damn airport in the nation to eat in. But Texas has stiff competition when it comes to its eating cities, and so Dallas has to find comfort in taking the Lone Star City’s comestible bronze. If you never make it past Miami's bottle-popping clubs, pool parties, and bottle-popping pool party-club hybrids, then two things are true. First, you're missing out on a vibrant, multicultural culinary landscape; second, you're cool with that, because you have eaten ALL the drugs. 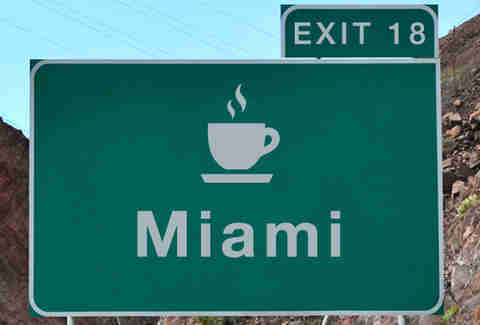 But we're not cool with that, bro, and here's why: Miami can flat-out bring it. Obviously, you've got the huge Cuban influence, which brought with it everything from Cuban coffee, to croquettas, to media noches & cubanos (though technically, the latter originates in Tampa). Hit Versailles for that stuff; it's as good as everyone says. But there's so much more. Classy? Two words, one of which is an article: The Forge. Innovation is your pleasure? Your destination is Pubbelly. Southern BBQ? Yardbird & Swine. Gastronomy? Eating House. Down-home vibes? Blue Collar. Lord almighty, can Miami bring it. You don't get all the way to #17 on the back of Rocky Mountain oysters and a surprising number of exemplary Italian (Panzano, Luca) and Vietnamese restaurants (everything on Federal). No, you get there because of Chipotle, which started as a single restaurant near DU's campus, and now is a $20 billion company with a single restaurant on every block in every major city. In fact, Mile High's a breeding ground on the fast-casual restaurant scene: Smashburger, Qdoba, Quiznos, Noodles and Company, and Red Robin all have headquarters in the Denver metro area. Also, edibles may have something to do with it. It's no secret that we're fans of The Ville's burgeoning class of cuisine-creators -- hell, we opened an edition there just to cover it this year! The reasons are myriad, but they all orbit around the fact that Louisville's kitchens punch way above the city's weight class. It starts with history: L'ville lays claim to deeply traditional items like the Hot Brown, burgoo, and derby pie, plus deeply traditional establishments like the Brown Hotel. Don't forget about fried chicken (a Kentucky classic) and the cheeseburger, which may have been invented right here in Louisville. Unlike many other mid-sized Southern cities, though, they've got no intention to merely draft off old pedigree here on the banks of the Ohio. Just look at some of the openings from the past year alone: a modern breakfast counter from local beer whizzes, a brick-and-mortar burger mecca born from food-truck fame, a New Orleans jambalaya-and-jazz joint... the list goes on. Seriously, eating in Louisville right now is like eating in Austin 10 years ago or Portland five years before that or maybe Asheville IN THE FUTURE. This is a city destined for national food relevance in the coming years, so get down there and start eating before everything has a line. Atlanta is so much more than Chick-fil-A. Actually, that’s a lie. But you DO have to eat something on Sundays, and ATL’s a hotbed of Georgia food, plus some of the best ethnic food in the entire South. Do you know what happens when you combine the native cuisine of a huge Korean immigrant population with all that Southern food? Miso-scented brisket and some of the country's finest wings. (And a lot of Seoul food jokes.) The city has no shortage of soul food spots, from the big names, like Gladys Knight and her famed chicken and waffles, to tiny holes in the wall with deliciously rich and porky collards swimming in potlikker. Plus, there’re peaches. And peach cobbler. And peach pie. And peach jam. When Detroit became the magnet for American dream-seekers, it also became the Midwest’s most diverse and fascinating food scene. Southerners brought soul food and BBQ that often stand tall against the cuisine’s origins. Polish food? There’s a whole city within the city -- Hamtramck -- where you can get some of the country’s best, along with tons of Middle Eastern foods. Greek food and Mexican? Head to Greek Town or Mexico Town. You get the idea. This is a place where coney has nothing to do with New York, but rather hot dogs made exclusively (it’s a law) with real cuts of meat and topped with a meaty coney sauce that will basically ruin all other hot dogs to come. It’s a spot where pizzas are square and thick, with cheese caramelizing the edges. It’s a city where traditions are embraced, adopted, and adjusted to fit a certain Motown mentality. If Detroit was half its size, it would be the most dense and rich food scene in the world. But where it loses points (with the Lions, they’re used to it) in sprawl, it more than makes up for with destination foods scattered across the metro area waiting to be discovered. The South has crispy, cover-your-fingers greasy, peppery, juicy fried chicken. And then Nashville just up’s all of that goodness with its hot chicken that gets coated in a cayenne paste before dipping into the fryer. The red-tinged bird ranges from tongue-tingling to the full-on fiery that can only be calmed by buttermilk biscuits, sending you into a cyclical eating fury of Nashville’s all-stars. 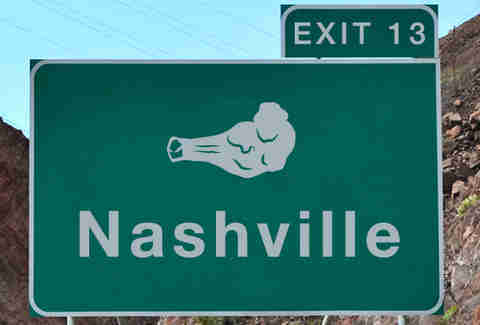 But once you break out of that, the city also delivers one of the largest choices of meat-and-threes: lunchtime staples that offer up mains, like meatloaf or country-fried steak, and veggie choices, like fried okra & collards and mashed potatoes with gravy, ensuring anyone can eat lunch like they’re at a Southern Grandmother’s home. Besides those famous dishes, Nashville’s food scene has exploded in the last several years, with stunners like Sean Brock’s Husk Nashville, ACME Feed & Seed -- one of the best new restos in the country -- and Pinewood Social making the capital a destination dining city, rather than simply a great place to eat Southern food. We love DC for its half smokes -- and not just the ones at Ben's Chili Bowl. 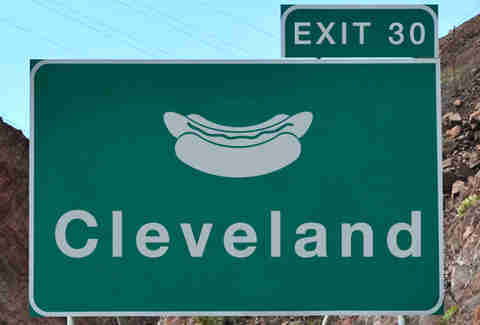 There are plenty of places around town to eat the pork/beef sausage smoked and smothered in chili. But that's just a small piece of what DC has to offer. The mishmash of cultures constantly streaming into the city means it's a mean place for all kinds of ethnic foods, none finer than the high-end Indian cuisine recent James Beard winner Vikram Sunderam makes at Rasika. They possess other star chefs too like Cathal Armstrong, Johnny Monis, and Richard Sandoval. And last but definitely not least, they've got Rose's Luxury, which was on our best restaurants list in 2013 and is still a place our executive Food/Drink editor only talks about in hyperbole and emojis. Cap City may be filled with politicians flitting around on borrowed time, but their food scene is definitely here for good. Boston may have fomented revolution when it came to leaving England, but signature foods like baked beans don't exactly make you think the English (or anyone else) are coming to take them back. Instead, Boston serves more as the meeting point for New England foods. Take the lobster roll, for example, which is mostly a Maine and Connecticut concoction, or clam chowder, which has different iterations all over the Northeast (though New England is the best and anyone who says otherwise is A LIAR). The real shining example of Boston's culinary acumen, however, comes from their best chefs. People like Barbara Lynch, whose properties like No. 9 Park, Menton, Drink, and The Butcher Shop continue to stand up as, not only great restaurants in Boston, but also across the country; Tim Maslow's creativity at Ribelle and Strip T’s, or Jamie Bissonnette/Ken Oringer from Coppa/Toro, who brought their Spanish tapas to New York and became instant food celebrities there as well. And, though areas like Cambridge and Somerville are starting to really shine on the food front, Boston continues to prove it deserves to be in a culinary conversation that doesn't start with "Do you want your lobster roll cold or warm?" LA gets unfairly maligned for its kale-eating, yoga pants-wearing denizens, which, sure, there are. But there are also thousands of other amazing things to eat (that’ll happen when your city’s the size of a planet) that make LA a world-class food city. It's the home of Umami Burger, for one, and the restaurant Animal, which serves all parts of its namesake, and is one of the greatest restaurants in the country. The city's penchant for putting people on screen means a ton of legit food from chefs you've seen on TV (Curtis Stone's Maude is one of the recent greats), and let's not forget that the incredible Korean-fusion eats from the Kogi truck sorta-started the trendy food-truck revolution... which itself started from the not-so-trendy food-truck revolution that helped LA dominate on the street-food scene decades ago. Also under-appreciated: Los Angeles' slew of immigrants, which means arguably the best Mexican, Chinese, and Korean food in the country, as well as, unarguably, the best sushi maybe-anywhere. That's right. Philly is a very, very good city for eats. You're probably thinking cheesesteaks: Geno's and Pat's are famous, these places are not, and that's barely the tip of the cheesesteak iceberg. But beyond the signature sandwich (and its cousin, the roast pork sandwich), the rest of Philly's scene is diverse, fascinating, and, all too often, entirely overlooked. Bucking the industry trend of leveraging small-market success into bigger-market ventures, a lot of Philly's chefs grow their legend there, then stay in town. This creates an unusually tight-knit, talent-rich restaurant community where toques like Jose Garces & Michael Solomonov can continue to build on success. The food its chefs turn out is just excellent. PYT's freakish heart-stoppers make a national splash each time a new one is born. Federal may not have invented pairing fried chicken with donuts, but they're pretty damn good at it. Italian has a strong foothold here, too, thanks to world-class fine-dining options like Vetri (and the continued cultural gravity of Italian Market). To the constant surprise of non-natives eating here, high-end options abound. Best of all: Philly is one of the top cities in the country when it comes to BYOBs. Best-of-best of all: Philadelphians, known for being as caustic as the acid in the batteries they famously threw at J.D. Drew*, get behind their food culture with genuine pride, support, and enthusiasm. Whether you're chowing down on a cheesesteak or not, Philly's positive food vibes are all around you. But still, watch out for those batteries. Houston has never been hotter, and that is NOT a commentary on their famously muggy weather. The food scene in The City With An Airport Named After President Bush Elder is finally getting the recognition it deserves, as this has always been a good town to eat in, though in the past it was primarily recognized for its steak and BBQ acumen. Now though, thanks to the ascendancy of some notable chefs (Underbelly’s Chris Shepherd, Reef’s Bryan Caswell, etc. ), a national audience recognizing its incredible Filipino, Vietnamese, and Chinese cuisine, and the city's historically delicious Czech kolache culture (spread it #kolacheculture), more and more people are flocking to Houston just to eat and soak through a couple T-shirts in the process. As a geeky teenager, you probably spent a lot of time alone, creating an imaginary world for yourself, complete with a super-hot girlfriend who no one knew 'cause she was from, like, Canada, or something. Well, Seattle is the culinary equivalent of that teenager after he grows up. It's geeky (maybe you've heard of Microsoft, Amazon, etc. ); all alone in the corner of the country (the closest major city is Portla... oops, San Francisco); and creative (just look at how Starbucks and Redhook revolutionized two entire beverage industries). When you combine those traits with the fact that Seattle's geography and climate provide it with a greater variety of regional produce and protein than any other city, you get places like the iconic Canlis, or the dozen or so restaurants owned by super-chef Tom Douglas, reinventing traditional dishes with local ingredients like salmon, shellfish, and other fresh seafood. But it's not just big-name chefs (Ethan Stowell, Maria Hines, and Renee Erickson among them) doing it: Seattle's best "neighborhood" restaurants (Lloyd Martin, Tanglewood Supreme) serve the kind of food reserved for destination dining in other cities, and there's a ton of these smaller spots opening all the time -- The Town has more restaurants per capita than anywhere but New York and San Francisco. Oh, and as for the part about being grown-up, Seattle's fully embraced food from around the world: there are more teriyaki and pho restaurants here than any place outside Asia; the Seafood-heavy Jalisco-style Mexican food is a staple; and one of the best new(-ish) restaurants in Seattle is Shanik, an Indian place run by famed Vancouver chef Meeru Dhalwala. See, told you we had a Canadian girlfriend. Austin knows its BBQ. That's a given. The meat-hungry masses form lines in front of spots like Franklin BBQ until they're out -- usually by 1:30pm. 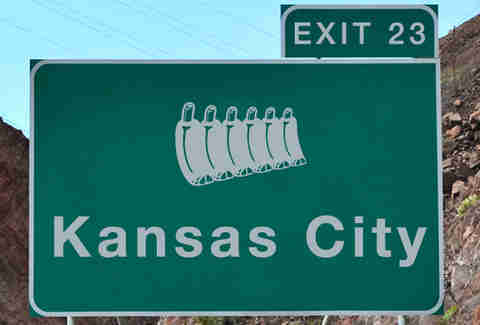 But this is not a one-dimensional food city. There're James Beard Award-winning sushi chefs. A food-truck scene that gives chefs the chance to flex their culinary muscles before moving on to bigger things (there's a reason the movie Chef filmed a ton there). And you can't forget the Mexican food. If you want a taco for every meal, Austin will gladly accommodate. There's so many places to score even just fantastic breakfast tacos, that you could eat them from 8am-8pm and go home happy. Here, we'll prove it. Portland’s like a food-lover’s fantasy land. It’s loaded with high-profile, nationally relevant restaurants ranging from Pok Pok to Toro Bravo, Beast, Paley’s Place, and Le Pigeon. 700+ food carts serve up (often upscale) restaurant-quality food on the cheap and sit in gigantic clusters with their own bars in the middle. Tourists and locals commingle in long lines not just for brunch, but for donuts and ice cream. The sandwich shops and pizza joints are lorded over by top chefs, some with James Beard cred. Oh, and James Beard is from the City of Roses. He was into onion sandwiches. You can get those here too. It’s a city that takes great pride in its food: most can tell you exactly where every menu item -- from meat to salt to herbs -- comes from. Some even hunt the animals themselves or raise the herbs. And because it’s a city of transplants, it’s a melting pot of influences. Sure, Portland lacks a style that can be applied outside of the city -- you’re not gonna order anything “Portland-style,” even in Portland -- but no other place boasts such a variety of collaboration between chefs and styles. Want a Sephardic Jewish/French/Middle Eastern entrée? Not a problem. Want a rare Thai street food? 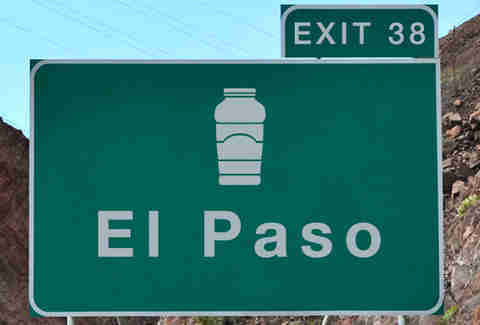 Name your part of town and your price point. Want a great cocktail and a great meal? You can’t serve booze in Portland if you don’t have a working kitchen. And if you’ve got a working kitchen in this city, you damn well better be putting it to good use, because in Stumptown, there are too many affordable options to settle for mediocrity. Doesn’t it just kind of feel like SF thinks they should be in the pole position in this thing? Without even knowing anything about the city, people reflexively pick the City That Started Uber as the hottest eating city in the country, and for good reason: few other places pack such diverse culinary chops -- we’re talking amazing ramen, Mission burritos, Cali Neapolitan-style pizzas, etc -- into such a small space (it's 7 miles by 7 miles). Danny Bowien’s Mission Chinese created the appetite for neo-Chinese American cuisine, first here, and then as an even bigger deal in NY; Thomas McNaughton’s Flour + Water showed people that you don’t have to spend an entire paycheck to get fine-dining pasta; over in Berkeley, Alice Waters created an entire new way to consider sourcing and serving our food; and then, farther out, Thomas Keller may have done some stuff too. Also, Oakland has some of the best pizza in the entire state, plus, over the Golden Gate Bridge, amidst the redwoods and people in biker spandex, Marin has some pretty damn good food, too. It’s a city where people know and appreciate new food styles and ideas, but its embrace of that to such an extent that people wait hours in line just to see if they might get into the new-new thing, coupled with the flush of new tech money and the changing financial landscape of Northern California, can also be why it has more than its share of detractors. But haters gonna hate, and if you have to put up with a little bit of backlash to eat as well as you do in the city by the Bay, well, keep it coming. The shorthand (and not wholly inaccurate) view of Chicago's food scene is that it excels primarily at two things. 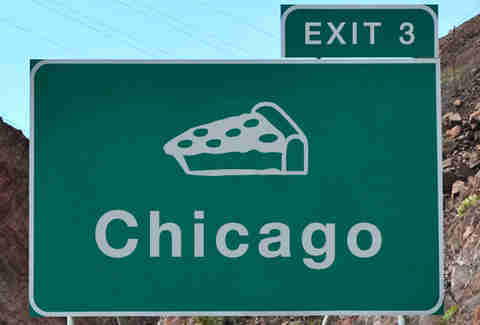 You have the waist-expanding everyman comforts embodied by its holy trinity of deep-dish, Chicago dogs, and Italian beef. Then there's the boundary-pushing fine dining, a reputation that took hold with Charlie Trotter and has continued with the innovative work of Grant Achatz with Alinea and Next. But for most locals, the real excitement lies somewhere between these two extremes, in an ever-expanding roster of chef-driven deliciousness that can provide a sublime gustatory experience without the sticker shock that comes with entering a temple of modernist cuisine. The impossible-to-overhype burger at Au Cheval, Rick Bayless' bar-raising tortas at XOCO, the deceivingly indulgent Fat Rice at... Fat Rice... indeed, New York-based Thrillist employees have actually been driven to anger after noticing that the delectability of their just-consumed meal outstripped the price tag to an extent they couldn't even fathom back home. One could argue more Chicagoans are eating well than ever before (and a cursory glance around the average CTA car would seem to confirm this). That's just one of many reasons that the average local wouldn't trade this place for anywhere else -- even in February. New York's restaurant industry is three things: high-stakes, historic, and downright enormous. It is arguably (by all means argue, as long as you're cool with being wrong) the nation's main stage for chefs & restaurateurs to prove their skills proficient and their concepts bankable. The turnover is severe, but for each nine-month flop there's a Sardi's, a Keens, or a Balthazar growing alongside the city, weaving themselves into its cultural fabric. In NYC, Michelin stars are hardly news, and three-hour waits for pizza are de rigueur. If you can make a Cronut here, it will go pretty much everywhere. Look at the track record of food innovations over the past two centuries. NYC has brought you egg creams, black & white cookies, dry-aged steak, coal-fired pizza by the slice, cheesecake, the dirty-water dog, Manhattan clam chowder, and Dinkins-knows what else. The Five Boroughs are a fount of food creativity. Borough by borough, Gotham rates. Queens alone has more ethnic enclaves than most cities have total, including: Chinatown & Koreatown in Flushing, Little India in Jackson Heights, and Little Manila in Woodside, plus growing West Indian & Greek populations. Not a month has gone by in the past decade that someone -- everyone -- wasn't heralding another Brooklyn neighborhood as the cultural hotbed of the world; you'd better believe restaurants like Maison Premiere, Roberta's, Fette Sau, Talde, and Mile End had something to do with that. Manhattan is... well, what's there to say? It's choked with haute-cuisineries and holes-in-the-wall from Blue Smoke down in Battery Park City to Per Se in Columbus Circle to Red Rooster in Harlem. The Bronx has Arthur Avenue, a cradle of Italian-American tradition. Staten Island has some of the best pizza you've never heard of, and overall, the city has some of the best pizza you definitely have heard of. New Orleans is a city drenched in its cuisine, rooted in the culture of setting a pot of gumbo on the front porch and inviting over the masses or throwing a street-wide crawfish boil on a muggy spring day. Its seasons are centered, not around the calendar, but around food, which is arguably easy to do when your seasons have more 90+ degree days than below 70, but it's even easier when January 6th kicks off Mardi Gras/king cake season, Christmas means epic Reveillon feasts, fall ensures a few alligator sausages in the Superdome, summer brings the first taste of sno-balls and the annual closing of Casamento's, and spring starts with the first crawfish boil. Its food pride extends inexpressibly beyond those signature dishes that everyone knows: its crispy, golden-fried oyster po’boys, award-winning fried chicken platters, and piping-hot beignets. Oh, also their spicy, blackened redfish, rich gumbo, and even richer crawfish étouffée. And don’t forget those buttery pralines or the smoky jambalaya or the Monday night-staple of red beans & rice. This might be the point when you’re wondering if there are good restaurants in the city, not just a rabid fanbase of hungry locals. Well, hate-reading New Yorker, the answer is yes. Five of the oldest restaurants in the country are here and still serving, and they aren’t just boring standbys that should’ve closed their doors long ago: Commander’s Palace is helmed by a James Beard-winning chef, while Antoine’s is still awing with its never-been-revealed recipe for oysters Rockefeller, which they invented (yep, you’ve only eaten fakes elsewhere). And new(er) guys like Donald Link’s fish-to-tail Peche, John Besh and Alon Shaya’s pizza-haven Domenica, and Philip Lopez’s incredibly inventive Square Root, one of the best restaurants in America, keep things inventive. It would be an unmitigated task to start naming all of the tiny Creole, Cajun, Vietnamese, and Italian spots that fill in the huge gap between the new all-stars and the grand dames, but that’s why New Orleans visitors have created quite the cliche when they return from a visit: you could eat all day, all week in New Orleans and never get a bad meal or fully grasp the cuisine melting pot that fills the city. Oh, and perhaps it’s worth noting that New Orleans does all that with an actual population of 343,829... without its MSA, the city wouldn't have been even close to large enough for this list. Dave Infante is a senior writer for Thrillist Food & Drink, and really can't believe New Orleans is so small. Please address all complaints, compliments, and death threats to @dinfontay on Twitter, Instagram, or Snapchat.